Miley Jab Hum Tum to end on November 20th..
After Dill Mill Gayye, it's now the turn of Miley Jab Hum Tum to see its end coming..
After the end of the Dill Mill Gayye era, viewers will now bid adieu to the other popular youth based show on Star One, Miley Jab Hum Tum!! 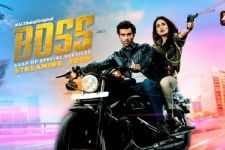 The show jointly produced by Sudhir Sharma's Sunshine Productions and Endemol will be going off air on the 20th of November. And taking its place at the 9 PM slot will be Sanjay Surkar's Dhoondh Legi Manzil Hume. Earlier, there was a buzz that Miley Jab Hum Tum had got an extension of six months, but the fact is that the team of Miley Jab Hum Tum are working on their ending track presently. However, the news is abuzz that the show might come back with a Season 3, as it has been very popular amongst the youth. When contacted, Producer Sudhir Sharma did confirm to TellyBuzz that Miley Jab Hum Tum will be shutting shop on November 20th. Producer Sanjay Surkar confirmed that his new offering, Dhoondh Legi Manzil Hume which has a political backdrop will take the 9 PM slot from November 22nd. As reported earlier by TellyBuzz, Dhoondh Legi..will see new face Sara Khan playing the main girl, while Deepak Wadhwa, Yashwant and Khalid play the male leads in the show. Deepali Pansare and Mohan Joshi will play vital roles. Madhvi Gokhte who was supposed to play the mother of the female lead will not be part of the show, her role will be played by known actress Neelima. As for Miley Jab Hum Tum, guess viewers will have to bid a teary goodbye!! But all is not lost, as they can anticipate a Season 3 coming!! 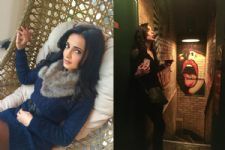 #Throwback: Guess What Sanaya Irani does when she cannot HANDLE Crowd! Sushant Singh and Pankaj Tripathi in Gulaal..
Sharad Kelkar gets a Diwali dhamaka! ardiat likes MJHT so muchplzzzzzzzzzzzzzzzzzzzzzzzzzzzzzzzzzzzzzzzzzzzzzzzzzzzzzzzzzzzzzzzzzzzzzzzzzzzzzzzzzzzzzzzzzzzzzzzzzzzzzzzzzzzzzzzzzzzzzzzzzzzzzzzzzzzzzzzzzzzzzzzzzzzzzzzzzzzzzzzzzzzzzzzzzzzzzzzzzzzzzzzzzzzzzzzzzzzzzzzzzzzzzzzzzzzzzzzzzzzzzzzzzzzzzzzzzzzzzzzzzzzzzzzzzzzzzzzzzzzzzzzzzzzzzzzzzzzzzzzzzzzzzzzzzzzzzzzzzzzzzzzzzzzzzzzzzzzzzzzzzzzzzzzzzzzzzzzzzzzzzzzzzzzzzzzzzzzzzzzzzzzzzzzzzzzzzzzzzzzzzzzzzzzzzzzzzzzzzzzzzzzzzzzzzzzz MJHT come back.i just miss u.
Mjht fans ke sath bohot galat huya.Itni jaldi mjht end karke star one ne bohot badi galti ki hain. I gesss we will never forgive star one as they have snatched our life mjht from us. Star one was my favorite channel and now I just hate it.We will forgive star one only on one condition they got to get back mjht season-3 with the old cast I mean I want arjun,rati,sanaya,mohit,jaskaran,navina and abhishek back in mjht season 3 again! no mjht no star one.................will miss u!! Mohit and Sanayaâ€™s exclusive family get together pictures!